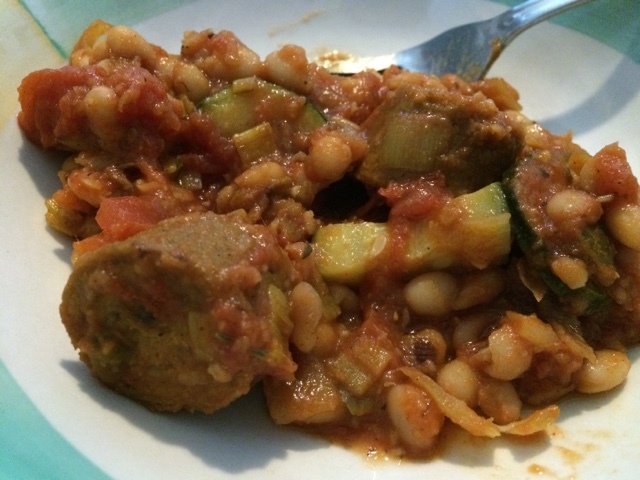 The Vegan Mouse: Smoky sausage and bean stew (again)! I really enjoyed this dish last time I made it. I did a few things different this time. 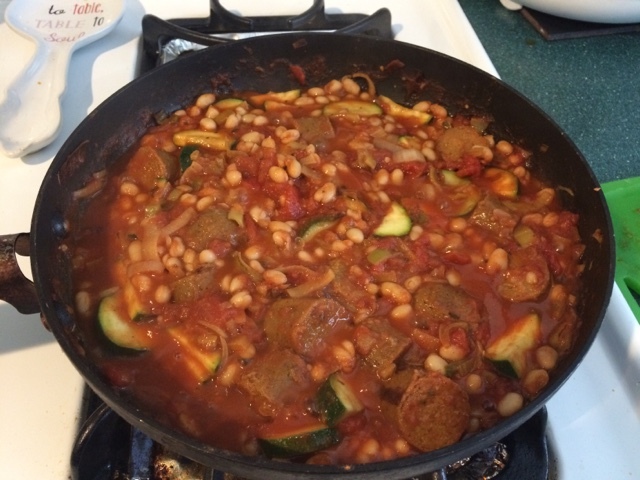 I used white beans instead of Lima beans, zucchini instead of celery, leek instead of scallion. It's so delicious. Anything cooked with white wine is gonna be good. 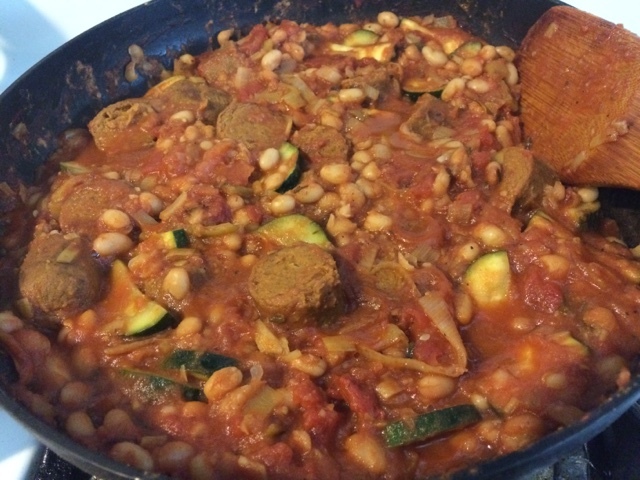 I used Tofurky Andouille sausage. Yum. The smoky paprika gives it such a great flavor. That looks so delicious! Smoked paprika is the best!